Do you know about all housing-related expenses eligible for income tax deduction? 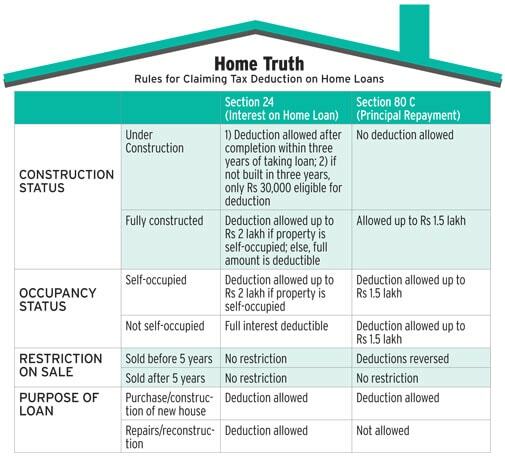 While most of you may be aware that home loan principal and interest payments are deductible from income for tax purposes up to a limit, you may not know that rules for under-construction and fullyconstructed houses are different. So are laws for self-occupied and let-out houses. As the time to submit proofs of tax deduction documents comes closer, knowing the nitty-gritty of these tax rules may help you claim all the deductions you are eligible for. We demystify the subject for you. Home loan principal payments are deducted from taxable income up to Rs 1.5 lakh under Section 80C of the Income Tax Act. Other investments/expenses also qualify for the Section 80C limit. So, if the principal payment for this financial year is Rs 1 lakh, you have to invest another Rs 50,000 in a tax-saving instrument to exhaust the Section 80C limit. You are probably aware of this. But what most people don't know is that the deduction on principal payments is allowed only if the house is fully constructed. No deduction is allowed for period during which the house is built. Another lesser-known fact is that if you sell the house within five years of taking possession, the deductions claimed on principal payments are reversed. The amount deducted in previous years is considered as income in the year of sale and taxed accordingly. Self-occupied: If you have taken a loan to buy a house where you live, the interest paid is eligible for deduction up to Rs 2 lakh under Section 24 of the Income Tax Act. The deduction is only for houses that are fully constructed. For under-construction houses, deduction is available only after the house is built. The property has to be completed within three years from the end of the financial year in which the loan is taken. The interest paid during the construction phase keeps accumulating. It can be used to claim deduction for five years after possession. For example, if the total interest paid during the construction period is Rs 5 lakh, one can claim Rs 1 lakh deduction every year for the next five years. If the property is not constructed fully or acquired within three years, only Rs 30,000 can be claimed as deduction every year. Not self-occupied: In case of a property which is not self-occupied, the total amount paid as interest can be claimed as deduction. However, you have to show the rent earned as income from house property in the tax return. 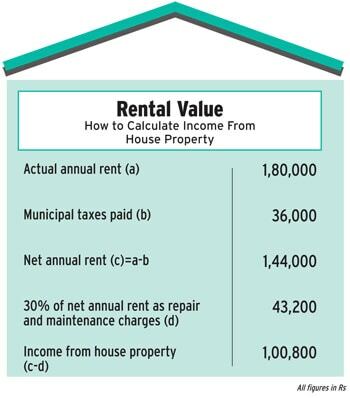 To arrive at income from house property, deduct municipal taxes (water, sewerage tax, etc) from the rental income. Then, deduct 30% (repair and maintenance charges) from this value to arrive at the taxable amount. For instance, if income from the property is Rs 1,80,000, and assuming a total of Rs 36,000 can be deducted for municipal taxes and 30% as repair and maintenance charges, the taxable component comes to Rs 1,00,800. Even if the second home is vacant, it is considered as letout and a notional rental income arrived at based on market rates. This is taxable after 30% deduction as maintenance and repair charges. But what happens if you have one house but do not stay there as you work in another city? In that case, the interest paid will be deductible only up to Rs 2 lakh. 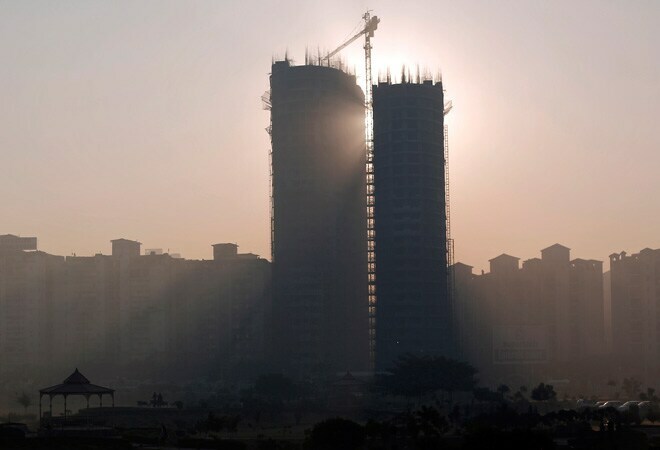 "When you are not residing in your own house because of employment in another city, the deduction limit on interest paid will remain Rs 2 lakh a year, but you can claim deduction on the housing rent allowance (HRA) component of your salary," says Deepak Jain, director and CEO, Tax Manager. This is a special exemption for first-time home buyers whose loans were sanctioned in 2013-14 (April 2013-March 2014). The government had allowed a special deduction of up to Rs 1 lakh on interest paid on loans not exceeding Rs 25 lakh taken to buy a house worth less than Rs 40 lakh. The deduction was allowed in 2013-14. If for some reason one could not avail of the full deduction in that year, one can claim the rest of the amount in 2014-15. For example, in 2013-14, if the interest paid and deduction claimed under this provision was Rs 60,000, the rest Rs 40,000 can be claimed in the current financial year. It is likely that at the time of loan disbursal the bank coaxed you into buying credit insurance. In this cover, the insurer pays the outstanding loan in case of your death. It is a single-premium scheme available for loans to buy a house, a car or finance a child's higher education. "The premium is eligible for deduction under Section 80C. Since these schemes are treated as single-premium, the total premium paid can be deducted in the year it is paid," says Mohit Rochlani, chief marketing officer, IndiaFirst Life Insurance. Credit protection insurance covers the outstanding loan, which decreases with time. So, the sum assured also keeps reducing with time. You can choose the term of the cover. 3) Rs 2,000 a month.